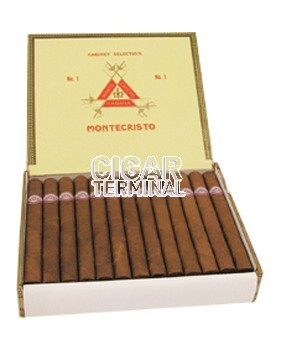 The Montecristo No.1 is of Lonsdale format, or Cervantes, 42 ring gauge and 6.5 inches (165mm) in length. As opposed to No.2 and the No.4, the No.1 is little known, and this is a shame because this little stogie packs a true Montecristo experience in a perfectly rolled cigar. It is also a pretty strong smoke, oscillating between a medium and a medium to full bodied cigar. It is nevertheless very creamy and smooth. There are lots of earth, cedar, tobacco flavors as you would expect from a Cuban cigar, but there are also many other flavors, such as strong nuts, all kind fruits, some citrus, chocolate, vanilla. Everything works well together; the balance of flavors is always under control. This is a cigar that worth a try, especially when it is 2 years of age. •	It is nevertheless creamy, spicy with lots of fruits and citrus notes.